Investing in UK property never ceases in popularity, but for expats and foreign nationals this can be a complex process. Whilst mortgage options for expats have always been available for English and Welsh property, there has always been a very limited choice for Scottish property. 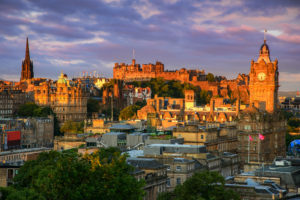 With Brexit in sight and as Scotland puts in a bid for another referendum, coupled with more Scottish mortgages options becoming available, it seems the Highlands are becoming increasingly attractive to expat investors. We’re delighted to announce that due to continued demand from our clients we have an array of mortgage finance options for those looking to invest in Scotland. We’ve developed our relationships with lenders to make Scotland easily accessible for our clients, regardless of where they are working and living in the world. With rental yields in Scotland higher than England, the recent rise in demand for expat mortgages in Scotland comes as no surprise. A combination of our exclusive lending options of up to 75% for Buy-to-Let, rates starting from 2.99% and our competitive set up fees is turning Scotland into an ideal investment opportunity for expats who are looking for mortgages for Scottish property. “The consistent increase in demand from our clients was pivotal for our strategic partnerships that are making Scotland more accessible. We’re delighted to offer some of the lowest rates on Buy-to-Let mortgages for Expats and Foreign Nationals globally”, commented Liquid Expat Mortgages Managing Director Stuart Marshall. With new builds and a changing landscape, Scotland has never been more attractive to expat First Time Buyers. Whilst expat First Time Buyers are normally subject to even stricter criteria than their resident counterparts, our lending partners offer welcoming criteria for expat First Time Buyers. “First Time Buyers are often put off by the strict criteria from lenders and the pitfalls for Expats and Foreign Nationals make it even more difficult. By assessing our network of lenders and developing partnerships with lenders who are as customer focused as we are, we’re able to offer truly accessible and bespoke products to our customers for Scottish property”, added Stuart. Wherever you are in the world, whether you are looking for an investment opportunity in Scotland, or simply want to get your foot on the property ladder, our consultants are on hand. With over 10 years’ experience in exclusively supporting expats looking for mortgage and finance, we offer impartial, straightforward advice to help find the best solution for you. For more information about mortgage finance in Scotland, contact +44 (0) 161 871 1216 or email info@liquidexpatmortgages.com today.